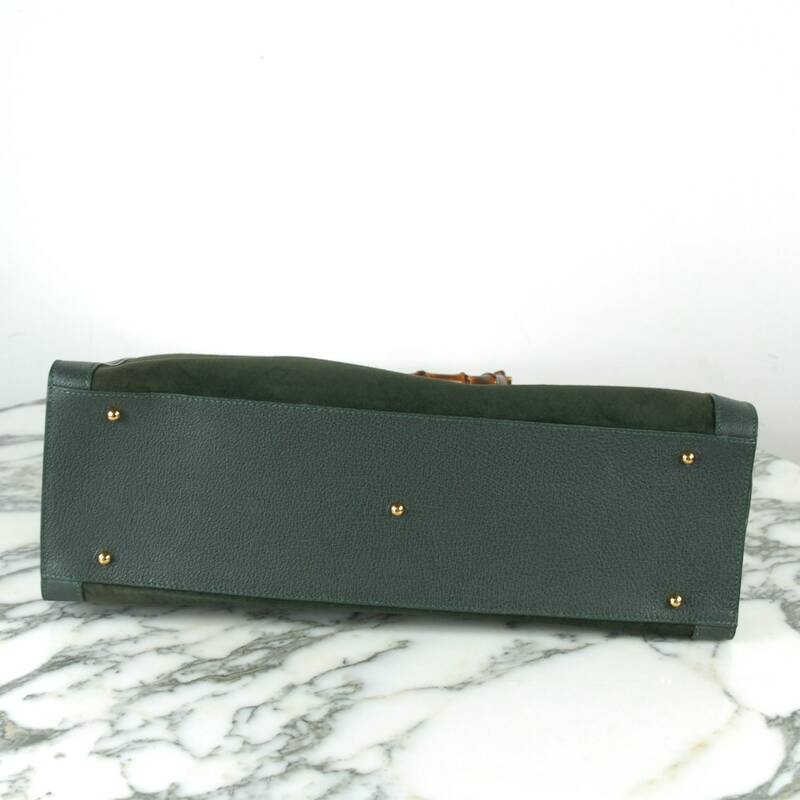 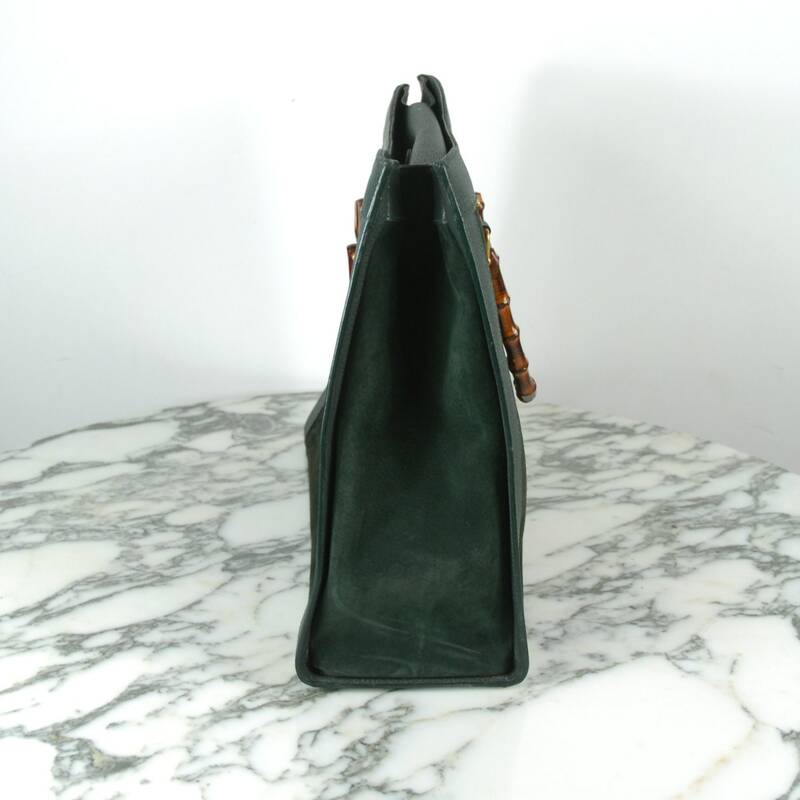 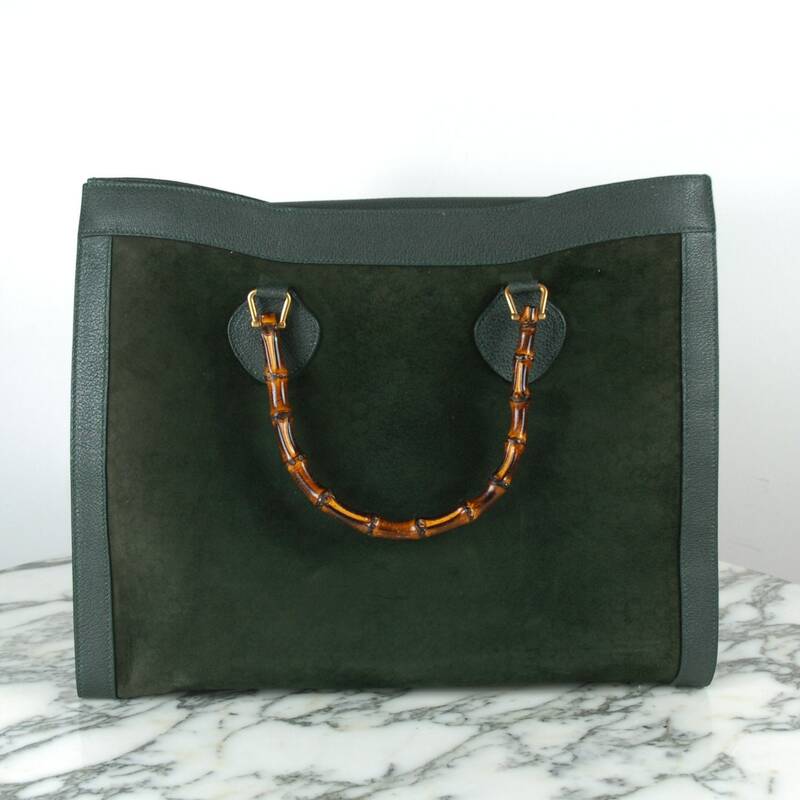 Iconic dark green suede handbag from Gucci bamboo collection. 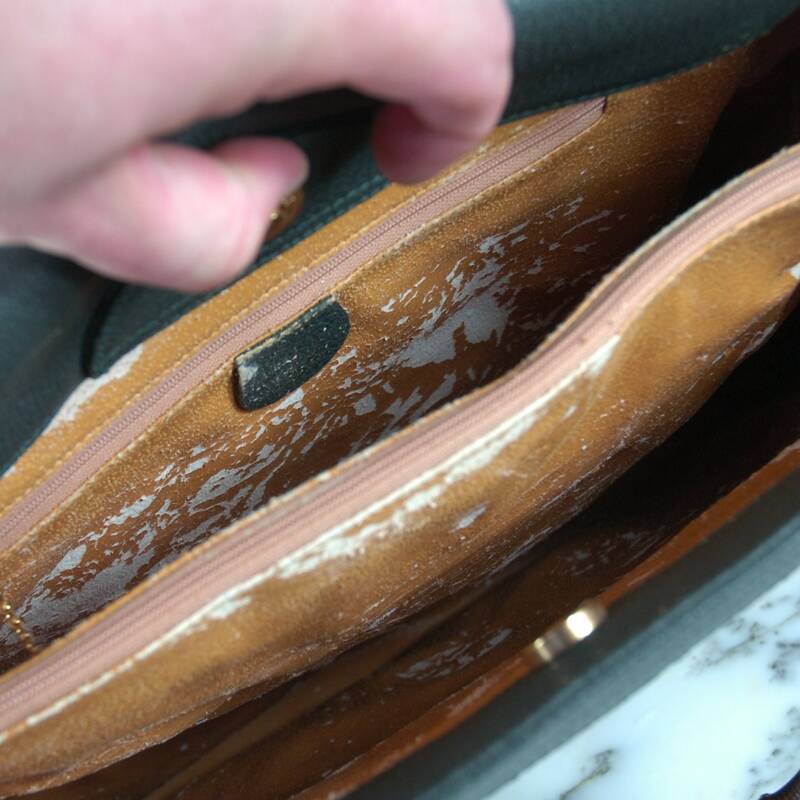 Good vintage condition with some signs of use on the suede leather and stickiness on the inside which can easily be fixed (by removing the lining/using goo gone). 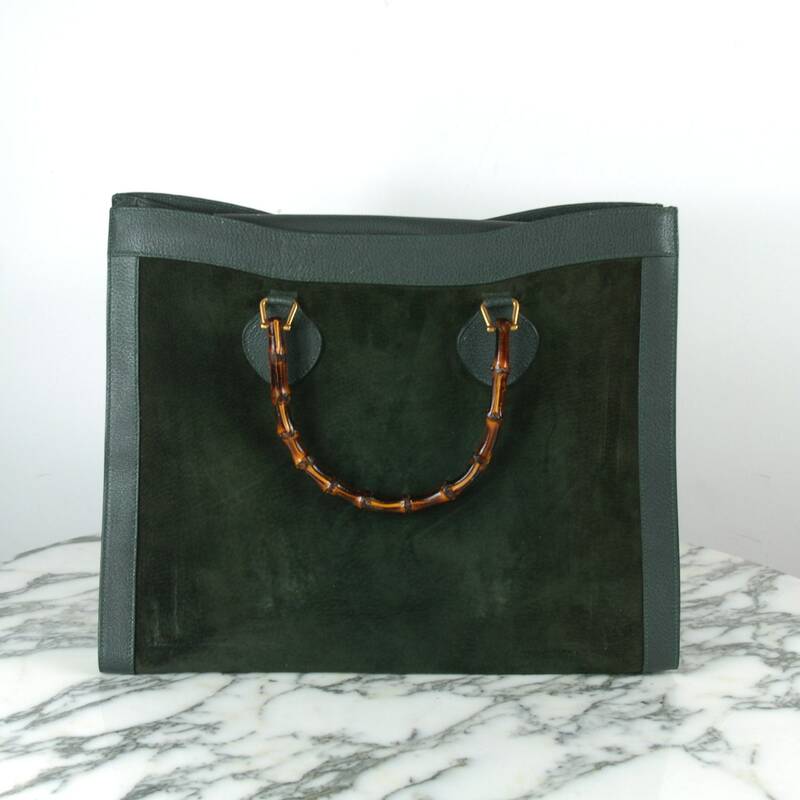 The timeless design makes it the perfect "investment bag".